As our president and CEO Elaine Rogers often says, “Do I have the best job ever or what?” And I couldn’t agree more. Serving on USO-Metro’s board for 15 years has been a privilege and being named Chairman of USO-Metro’s Board of Directors in June of 2016 was a tremendous honor. An honor, not only to be a part of this prestigious group of board members , but extremely proud to represent and express the tremendous support of the American people for the men and women of our Armed Forces and their Families. 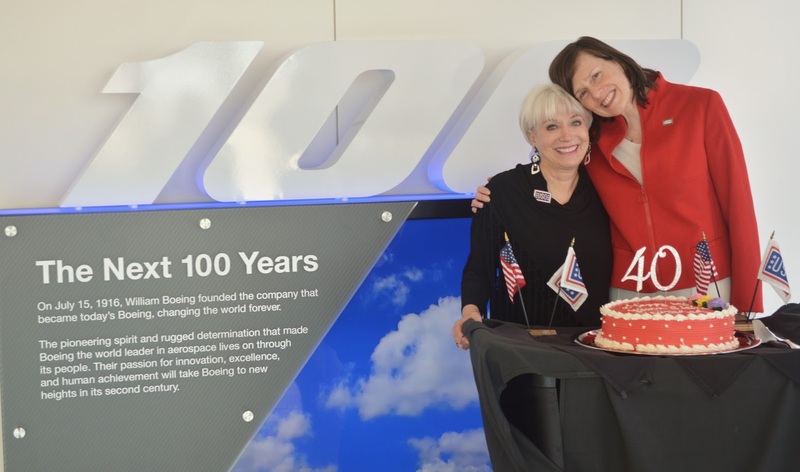 On the subject of leadership, this year marked Elaine’s 40th anniversary spearheading the USO’s mission here in the National Capital Region. Elaine with my predecessor, Maureen Cragin, vice president of Communications for Boeing Defense, Space & Security, at our March board meeting. To see the messages to Elaine on her 40th Anniversary, click here . In celebration of 75 years of service, the USO mission was updated to reflect the scope of the modern USO’s services, mirroring perfectly the huge breadth and depth offered by USO-Metro. Mission: The USO strengthens America’s military service members by keeping them connected to family, home and country, throughout their service to the nation. In fact, USO-Metro is one of the only charters to continuously operate for all of those 75 years, during wars and in between, when they were perhaps needed most. You can view our historical timeline and read more about this organizations tradition of excellence. .
And of course, thank you to our supporters, without whom we could not continue this important work. Especially our Circle of Stars, an elite group of our largest corporate donors –the one, two, three and four-star companies that make supporting our troops through USO-Metro a priority. 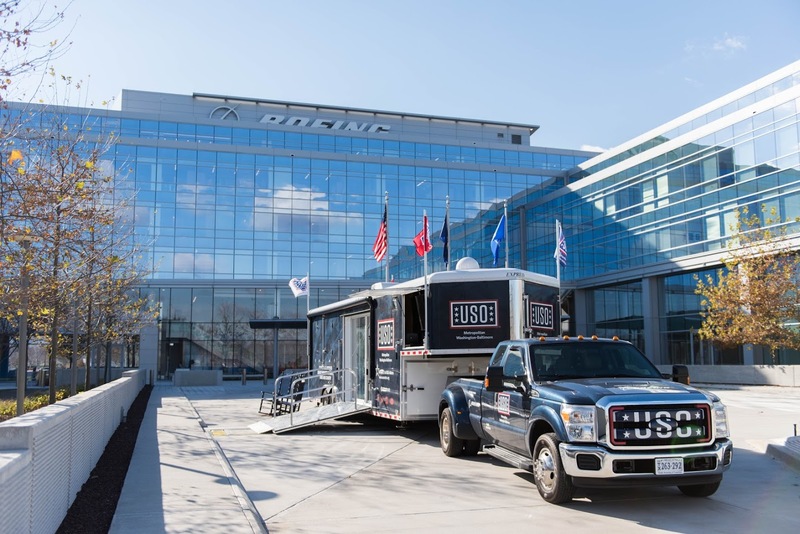 In addition to continuously serving as USO-Metro’s Annual Awards Dinner presenting sponsor, The Boeing Company invested in a new Mobile USO to extend our services outside of our brick and mortar centers. Along with frequent trips by its employee volunteers to the USO Warehouse to pack care packages as part of the Pack 4 Troops program , Northrop Grumman extended its existing support of the Dulles USO Airport Lounge, becoming a BWI BWI USO Lounge sponsor to ensure our military travelers and their families have a place of respite and comfort during stressful times of travel. 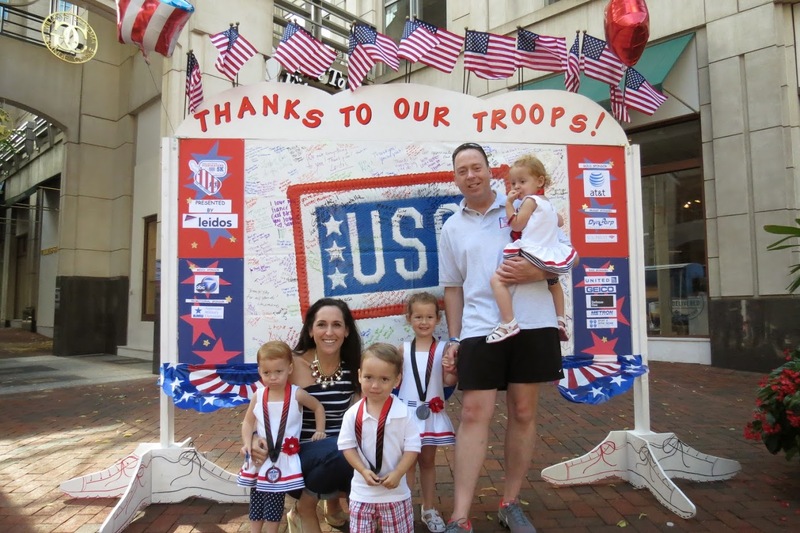 Through the inaugural year as the title sponsor of the Giant National Capital BBQ Battle , Giant Food selected USO-Metro as a Charity beneficiary providing multiple opportunities for public awareness, education, and financial support to USO-Metro. General Dynamics support of USO-Metro programs and services in addition to sponsorship of the Ft. Meade USO has helped our organization to provide innovative, necessary, and important programs and services to support the military service members and their families. Our Three-Stars, DynCorp International, EY, Altria, and the Military Bowl Presented by Northrop Grumman have provided tremendous support to USO-Metro through an array of events, comprising resiliency programs for active duty and transitioning troops; morale and empowerment programs for military women and spouses; and family programs to build a stronger foundation for our military community. And our One-Star sponsors: U.S. Trust, The Washington Redskins, Verizon, Brocade, Clyde’s, Citrix Public Sector, Dell, Monumental Sports, Monster Energy, Raytheon Company, Upson Technologies, Valbin Corporation, Finnegan, LLP, DC Capital Partners, LLC, Prudential, Juniper Networks, CACI International, DCSSAR & DC DAR, GEICO Military, Rockwell Collins, United Airlines, NDIA, Southern Management, WUSA*9 & The Tegna Foundation, Level 3 Communications, WWE, Darren & Elizabeth O’Day, KPMG LLP, Health Net, BAE Systems, Pratt & Whitney and Robert Irvine Foundation. Perhaps the reason for USO-Metro’s longevity of success is its reputation for being a responsible charitable organization, trusted by the community and relied on by our troops and their families for 75 years. Approximately 90 cents out of every dollar donated goes directly to program expenses. 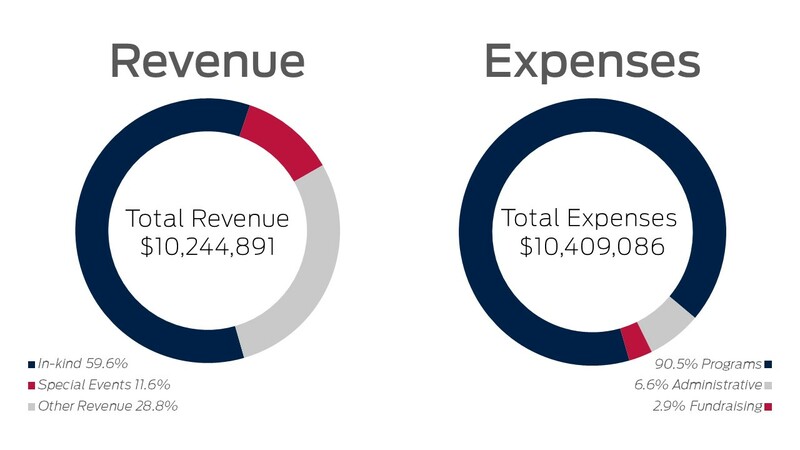 USO-Metro again earned the highest rating on Charity Navigator for outperforming most charities in its cause and Exceeding Industry Standards. In closing, thank you for your continued support of USO-Metro and for supporting the strongest military force in the world.